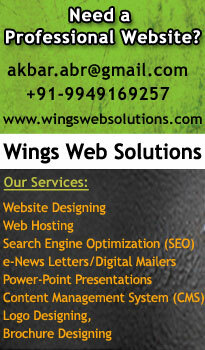 Premium: Rs.330 per annum. 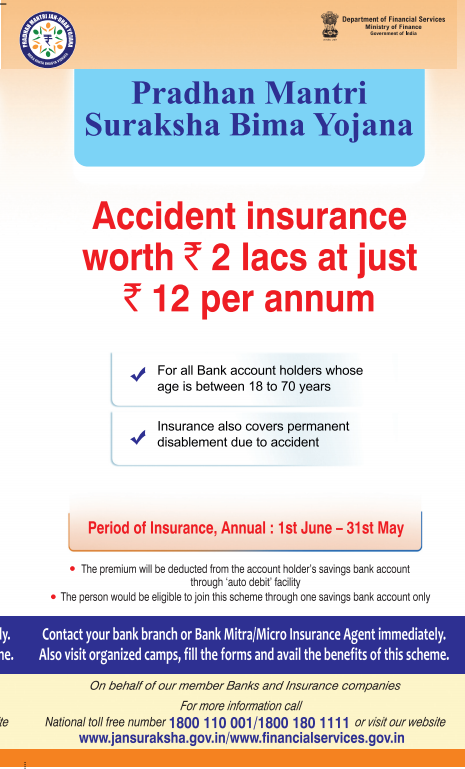 It will be auto-debited in one instalment. 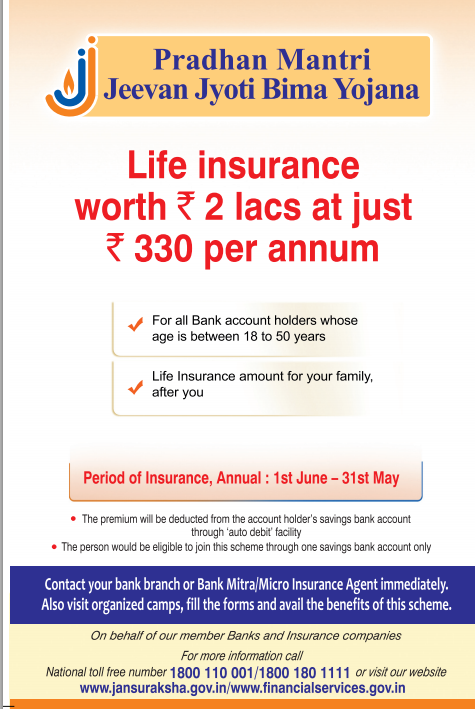 Risk Coverage: Rs.2 Lakh in case of death for any reason. 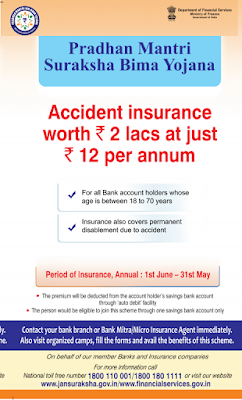 Terms of Risk Coverage: A person has to opt for the scheme every year. He can also prefer to give a long-term option of continuing, in which case his account will be auto-debited every year by the bank. Who will implement this Scheme? 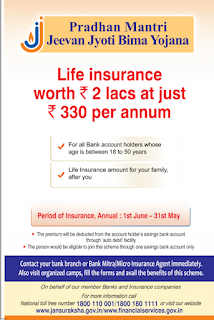 : The scheme will be offered by Life Insurance Corporation and all other life insurers who are willing to join the scheme and tie-up with banks for this purpose. (i) Various other Ministries can co-contribute premium for various categories of their beneficiaries out of their budget or out of Public Welfare Fund created in this budget out of unclaimed money. This will be decided separately during the year. (ii) Common Publicity Expenditure will be borne by Government.